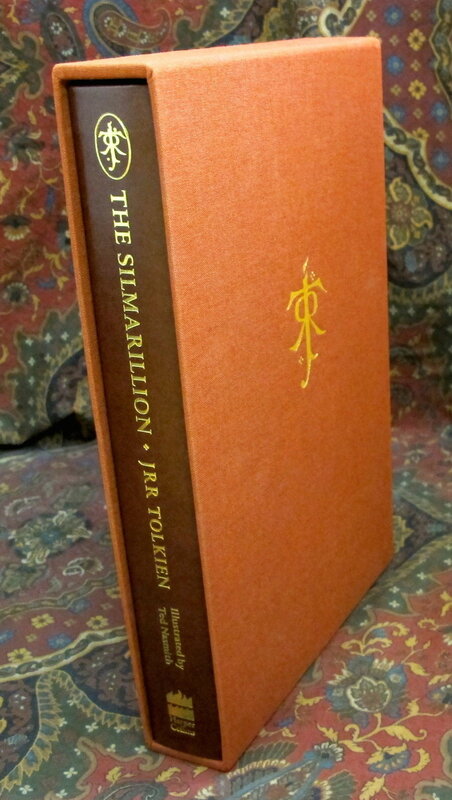 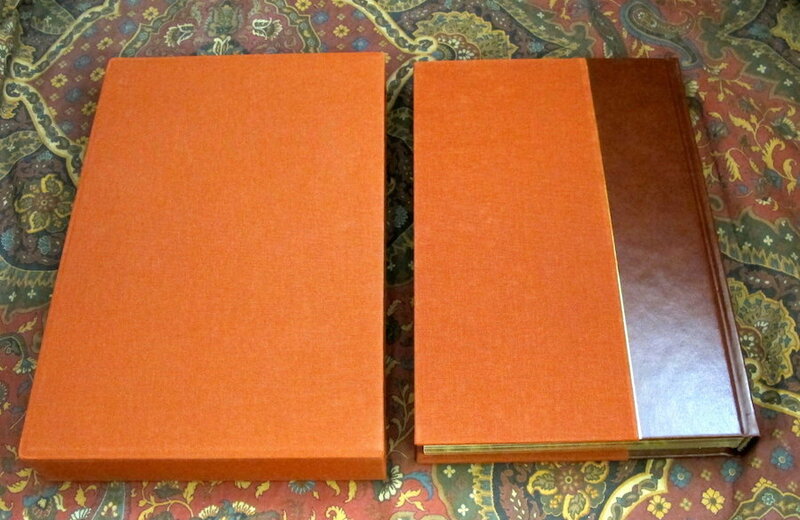 The Silmarillion quarter leather and cloth bound in rich terra cotta color with gilt titles, Tolkien monogram on book and matching cloth slipcase. 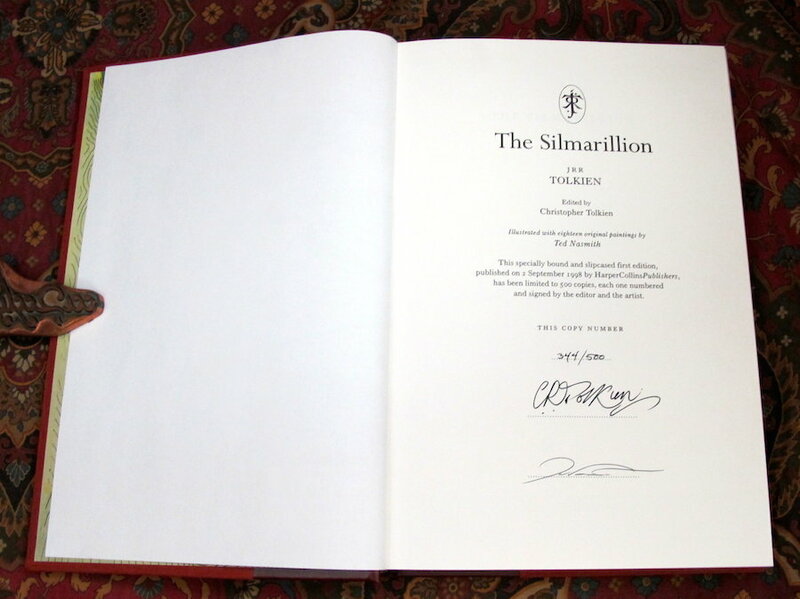 Limitation Number 334 of 500. 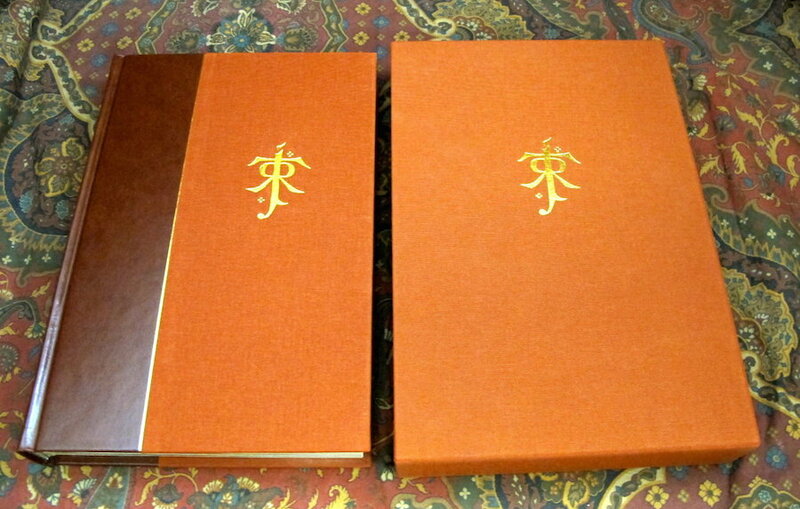 Quarter leather and cloth bound in rich terra cotta color with gilt titles, Tolkien monogram on book and matching cloth slipcase, gilded page edges, ribbon marker bound in. 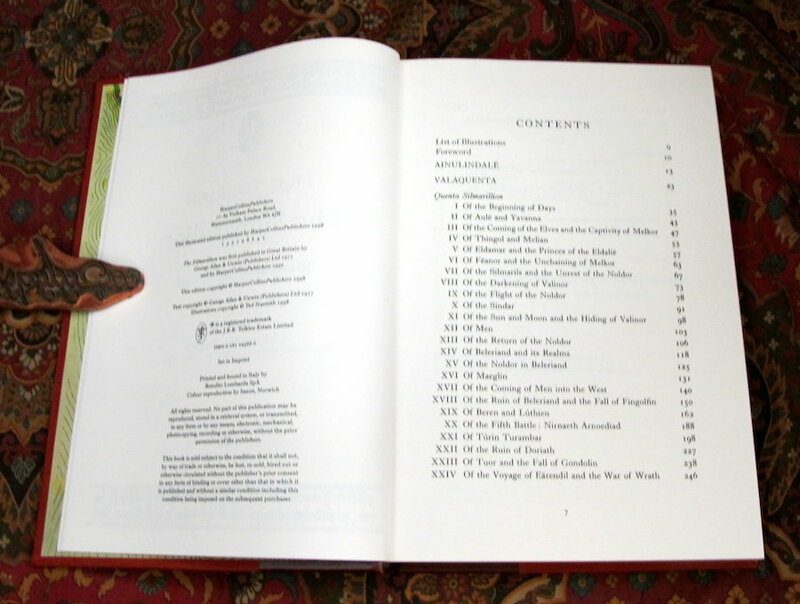 The book is in Near Fine unread condition. 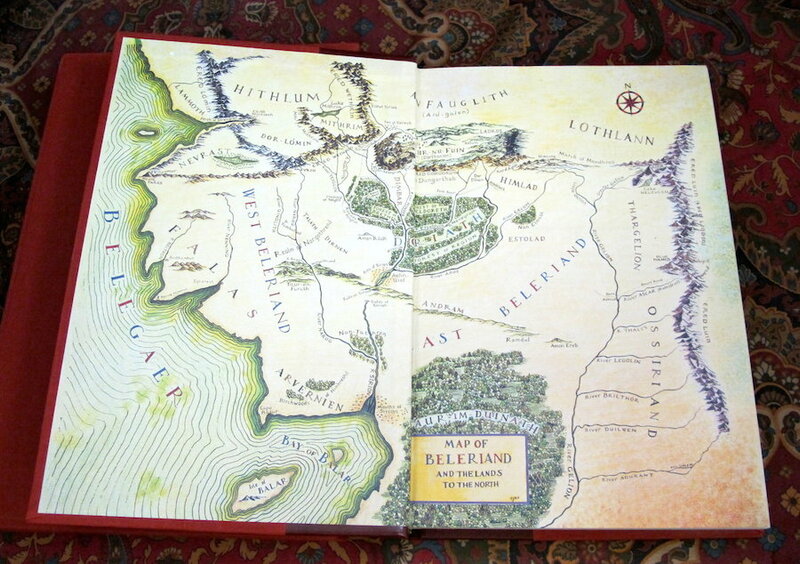 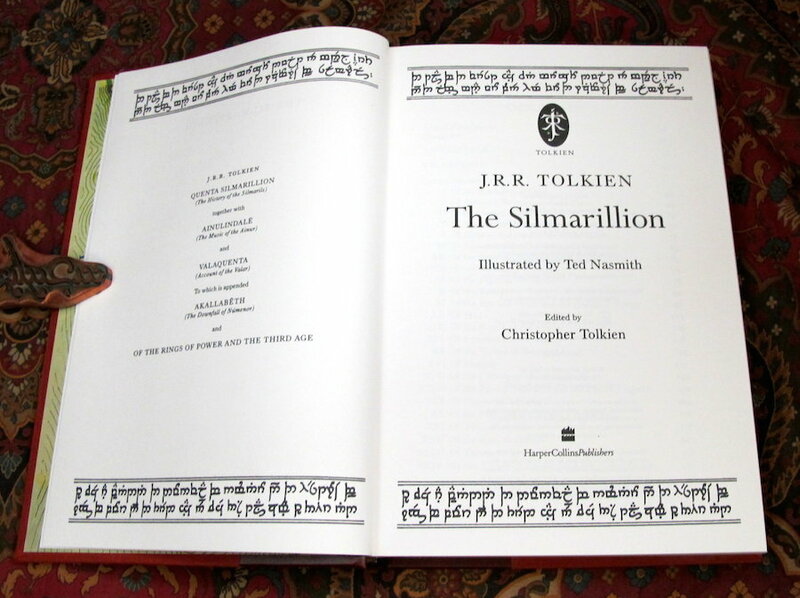 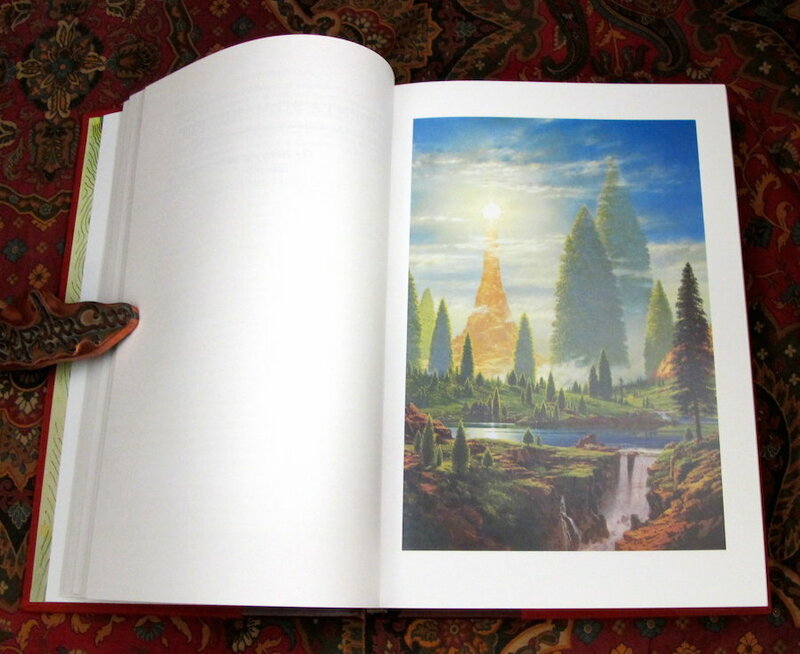 Matched in size and style with the Limited/Numbered Editions by Harper Collins, of the Hobbit and Lord of the Rings also offered for sale at this time.